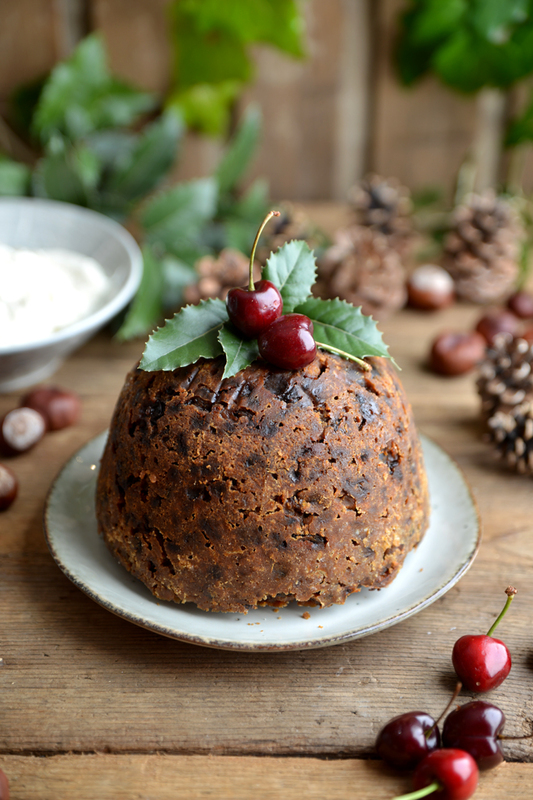 As far as I’m aware Christmas pudding is a British thing so if you don’t really know what it is my advice would be just make it....okay, it’s a steamed fruit pudding that you eat hot with brandy cream (or brandy butter, but brandy cream is better) usually on Christmas day but that explanation does it no justice at all. 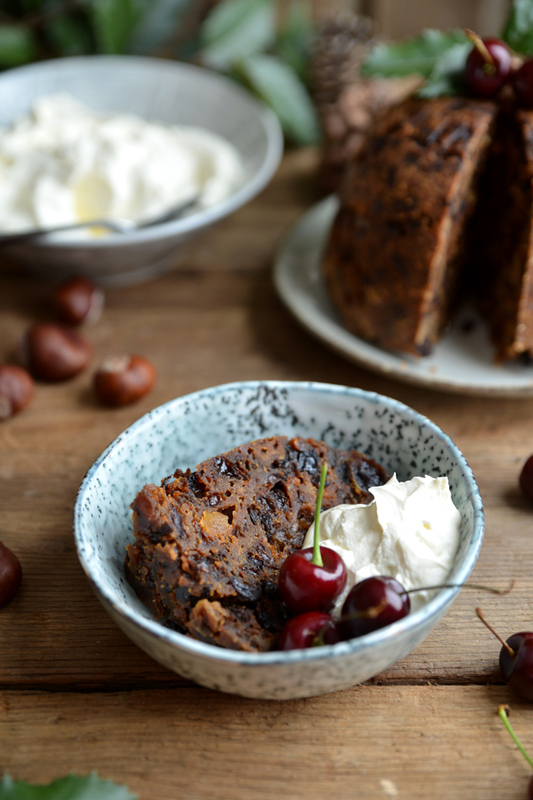 It’s actually kind of hard to explain, it doesn’t really taste that much like Christmas cake and its very moist (excuse the use of the word). There’s actually a bunch of history that goes along with it; superstitions, hiding a six pence in it, getting everyone in the family to stir it and make a wish, I won’t get into all that but you are supposed to make it on “stir it up Sunday” which was November 20th.. Obviously it’s not November anymore but if you’re like me and never get round to doing anything you’re supposed to you could probably still make this and it’ll be fine by Christmas. My mum and I made this recipe(ish) last year, supposedly my mum made it when I was young as well but I don’t really remember. 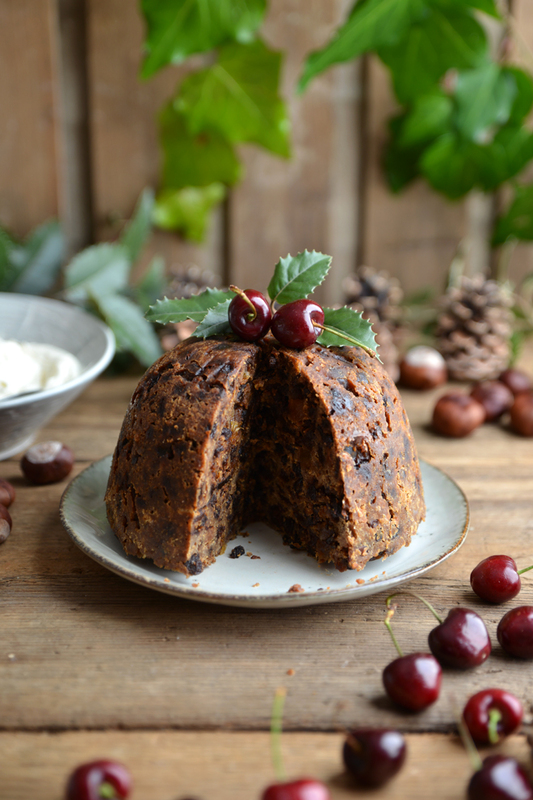 I know my great aunt made us Christmas puddings until she passed away, then we started getting them from the country market every year (kind of like the WI but not) then the lady we bought them from stopped making them so after a few years of pretty mediocre puddings we bit the bullet and made one last year. 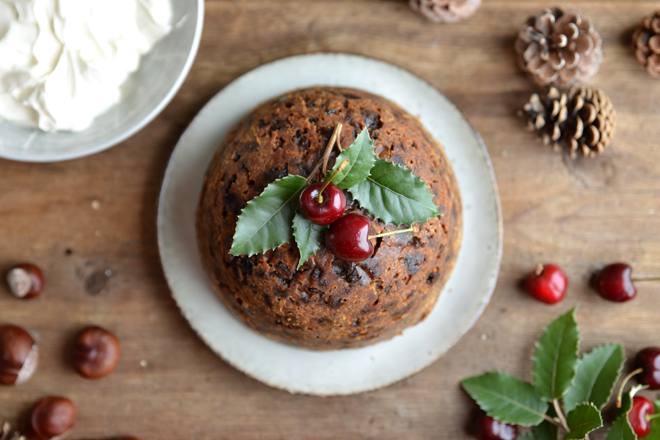 My mum was deliberating on what to do because it was already December but telling her we might as well just do it because they don’t taste as good, possibly the best thing I’ve ever said because this Christmas pudding changed my life! Okay maybe that’s a little over the top but this pudding, I had three servings on Christmas day THREE! 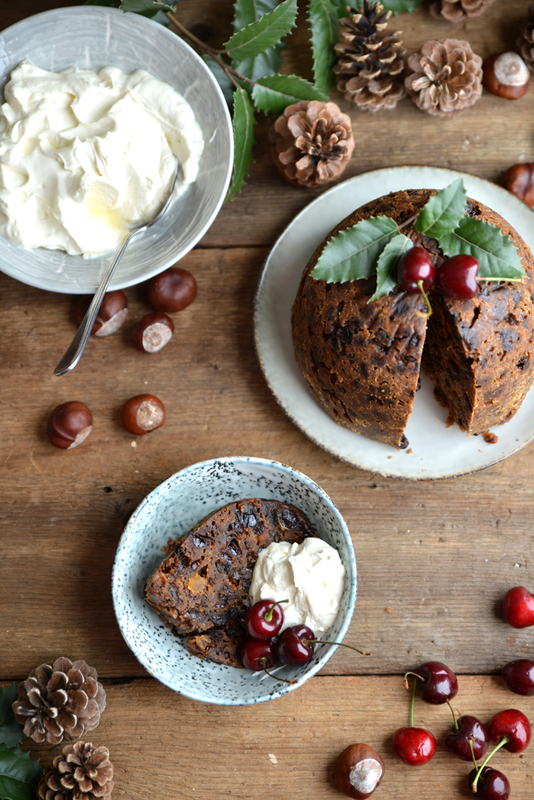 We ended up making three puddings this year, yes three; don’t even get me started on how many Christmas cakes we made! I completely forgot to make a wish at the time though so I feel a little like I’ve been cheated out of three wishes, is that how it works one wish per pudding? or is it one wish per stir, in that case I was really cheated; I could have done a lot with those wishes. I wonder if those women that make hundreds of puddings to sell make a wish every time they make a pudding. Maybe your wish isn’t valid if you’re the one making it, maybe I should google that. Anyway, back to this pudding. There was a small part of me that was worried it wasn’t going to taste as good this year. You know when you have something for the first time and you remember it a certain way and it never lives up to what you remember? Well that doesn’t apply in this situation. I don’t think I should start another whole paragraph on how much I love this, I’m just ridiculously happy I get double the pudding this year. Don’t let the long list of ingredients scare you, all you have to do is bung them in a big bowl and stir. It does involve a little bit of wrapping and string handle engineering, don’t worry it’s pretty easy. It also takes quite a few hours to cook but you can plan to make it on a day where you’re around the house and all you need to do is check on it every now and then. We cook it late afternoon/early evening then leave it to cool overnight. Okay I’ll stop rambling, let’s get to the recipe. Grease and line the bottom of a 1 litre/2 pint pudding basin. In a large bowl mix all the ingredients together with a wooden spoon until well combined. Spoon the mixture into the basin and top with a circle of greaseproof paper. Cover the whole basin with greaseproof paper, then again with tin foil making a pleat on top to allow for expansion. Tie sting around the basin and loop another piece of string round the edges and over the top to make a handle. Steam the pudding in a saucepan half full of water for 6 hours. Make sure to check it every now and then and top up with water if it’s boiling away. Once cooked, cool completely then store in a dry place. 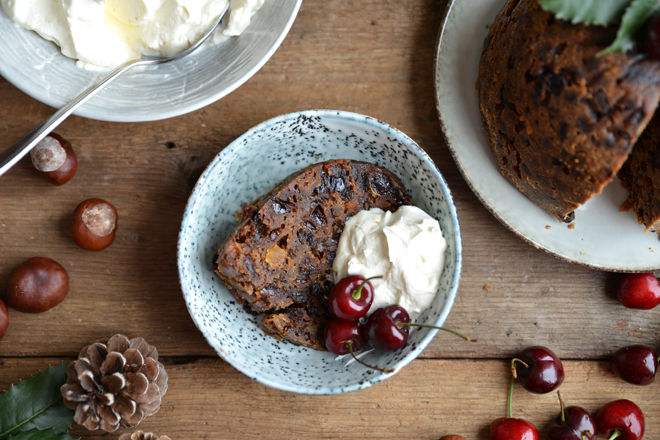 Ideally you want to keep it for about two months before using but we always make ours around the end of November/beginning of December and it still tastes delicious. On Christmas day unwrap and turn out into a plate (you may have to slide your knife around the side to give it a little encouragement). Heat on full for in the microwave for 4-7 minutes, this will change depending on how powerful your microwave is but you want to make sure it’s hot all the way through. If you don’t have a microwave leave it wrapped up and steam again for another 2-2½ hours like instructed before then carefully turn out into a plate. Serve with brandy cream recipe here for the best brandy cream you will ever have that I posted last bakemas. If you’re lactose intolerant or don’t eat dairy instead of making brandy cream just add brandy and icing sugar to whichever dairy free yogurt you eat and serve that with it instead, I use the alpro almond & soya yogurt when I do this and it tastes AMAZING. Serves 8-16 people, depending on how hungry you are after your Christmas dinner.